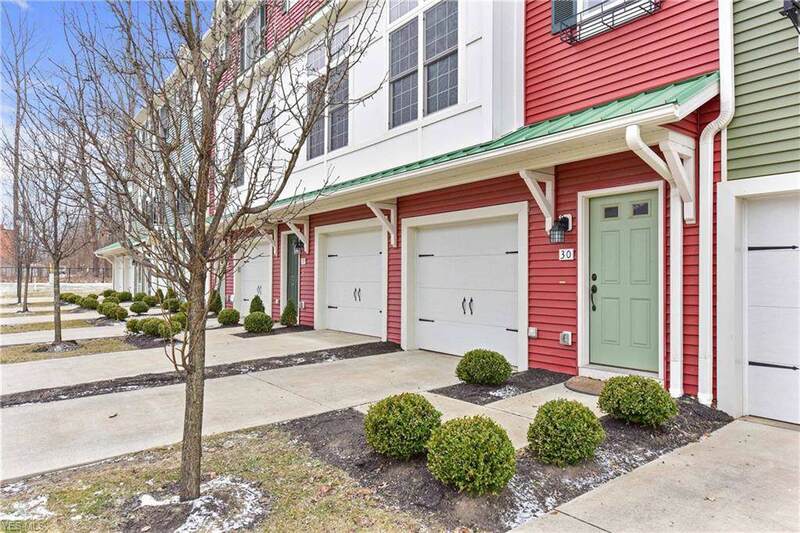 Stunning, Modern Newer Build Rocky River Townhouse In Grandview! Open Concept Floor Plan Boasts Tall Ceilings, Plentiful Natural Light and Gleaming Hardwood Floors. A Bedroom With Full Bath And Deck Is Located On the First Floor and Offers Versatile Options Of Use. 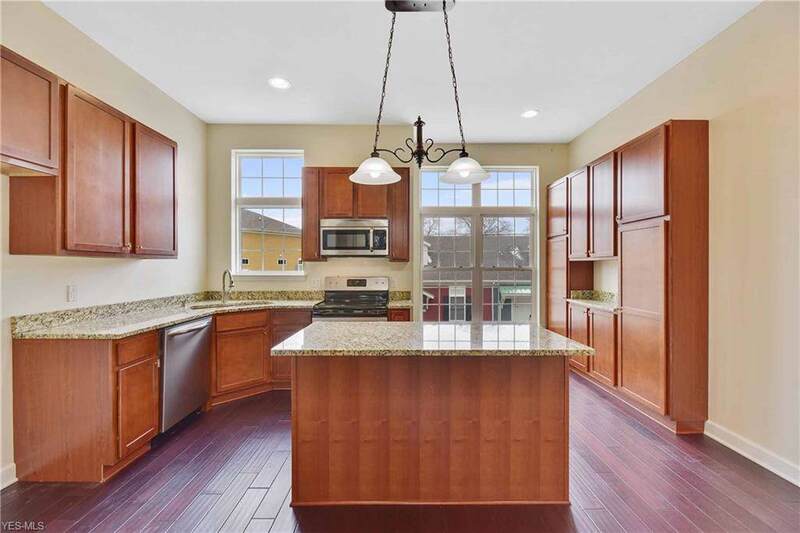 A Large, Eat-In Kitchen Offers Tall Cabinets and Granite Counter Tops With Large Center Island, Open To Built-In Office Nook and Living Room Is Located On the Second Floor Along With Deck Overlooking Greenspace, Creek and Woods. 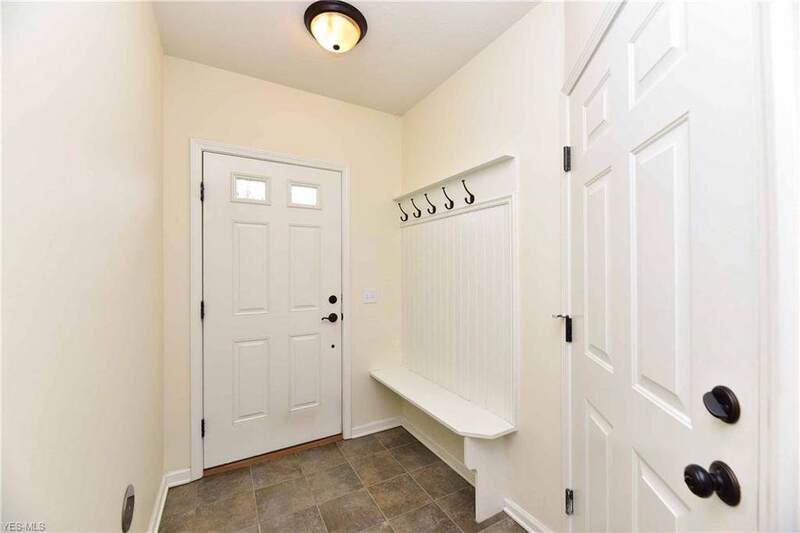 A Large Walk-In Pantry and Half Bath Complete This Floor. Upstairs You Will Find the Master Bedroom, Complete With Full Bath, Walk-In Closet and Laundry Room. A Second Bedroom With En-Suite Full Bath Can Also Be Found On the Third Floor. Well Planned Design, Plentiful Storage and An Attached 1 Car Garage Make This Home One To Not Miss. The Grandview Community Stays Connected and Coordinates Events Like An Annual Oktoberfest and Garage Sales. 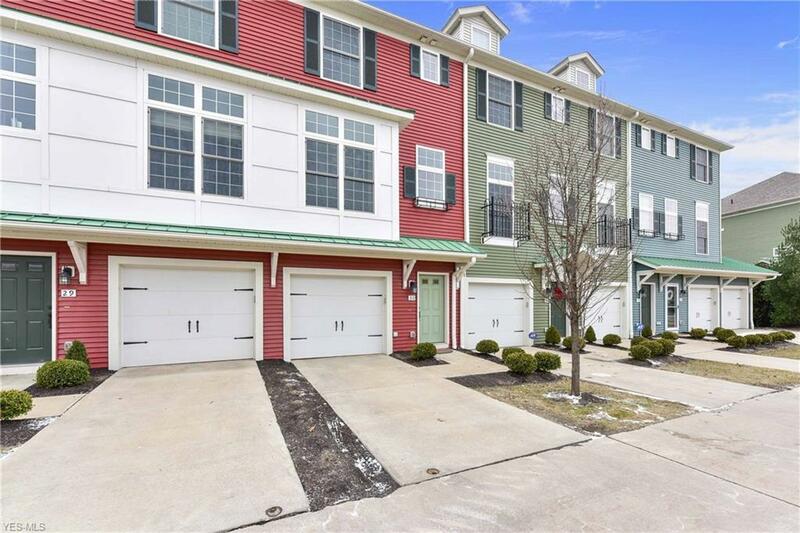 Conveniently Located Close To Shopping, Recreation Center, Westgate Mall, Crocker Park, Schools, Playground, Senior Center and Many City Services! Easy Freeway Access! Listing information © 2019 NEOHREX Multiple Listing Service. All rights reserved. The data relating to real estate for sale on this website comes in part from the Internet Data Exchange program of NEOHREX. Real estate listings held by brokerage firms other than RE/MAX Edge Realty are marked with the Internet Data Exchange logo and detailed information about them includes the name of the listing broker(s). Information Deemed Reliable But Not Guaranteed. The photos may be altered, edited, enhanced or virtually staged. Data last updated 2019-04-24T00:07:49.